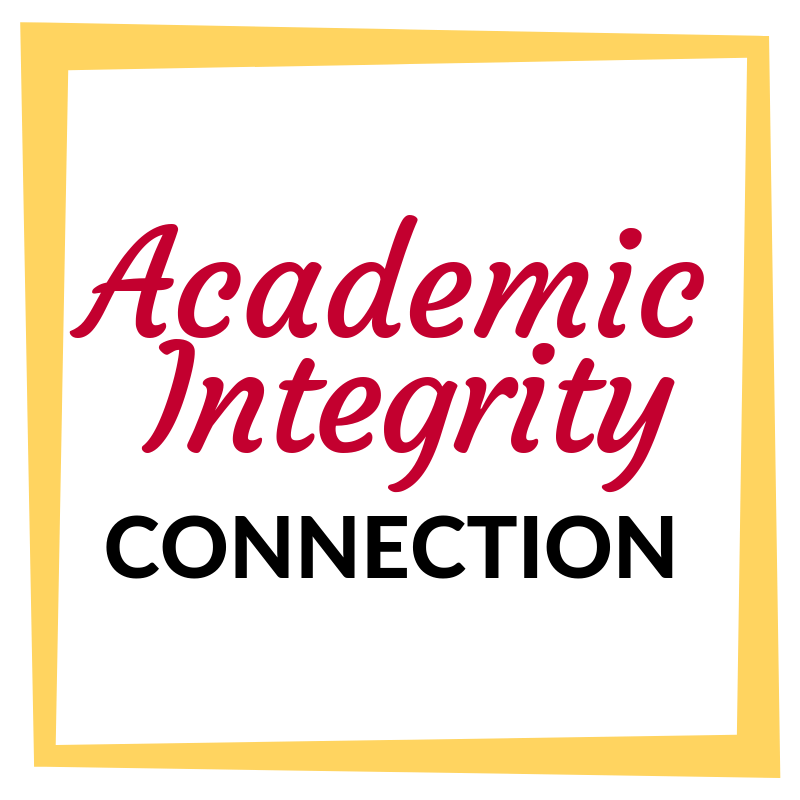 Check out the connection between this article and Academic Integrity by clicking on the button. 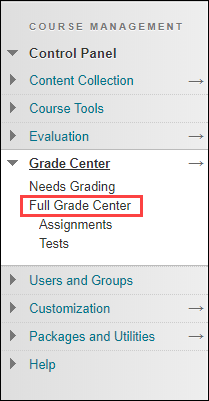 Click on Grade Center and then on Full Grade Center. 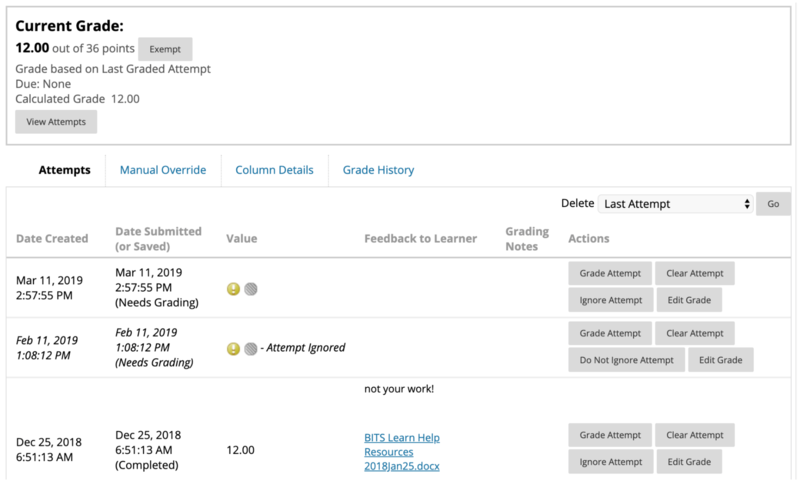 Click on the arrow next to the student’s score for that assignment. 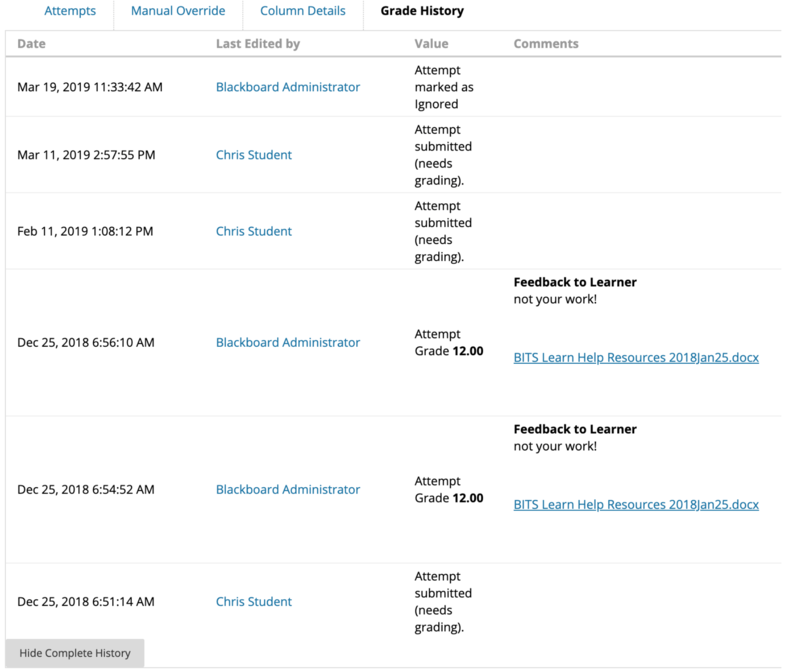 View the history of the student’s attempts on the Attempts tab. 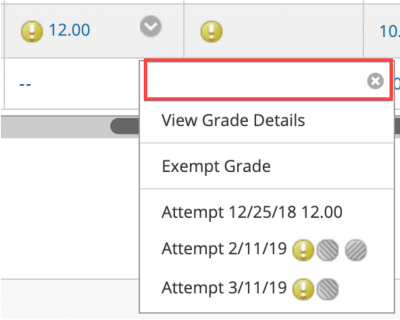 You can choose to Grade, Clear, or Ignore an Attempt here or Edit the Grade. 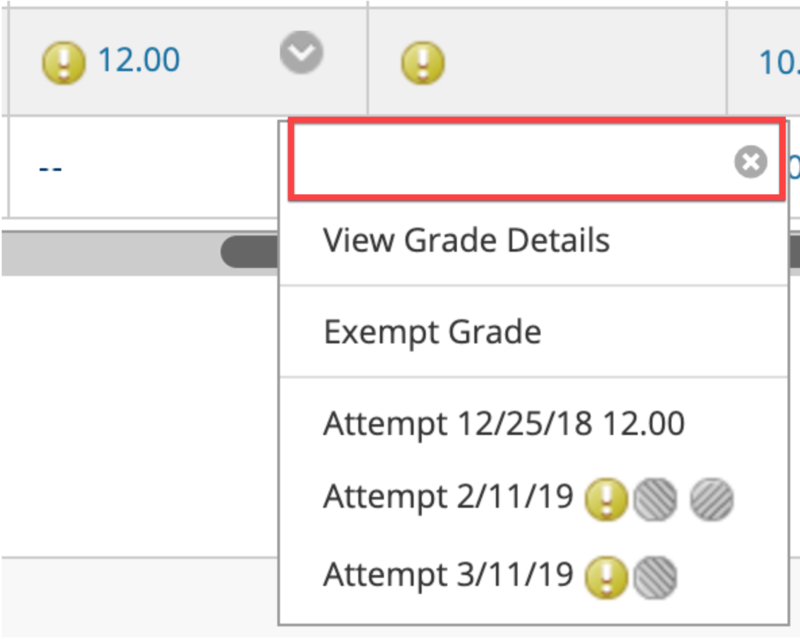 PRO TIP: If you ignore an attempt instead of clearing it, then the student has a chance to attempt the assignment again, but it keeps a record of the previous attempt. 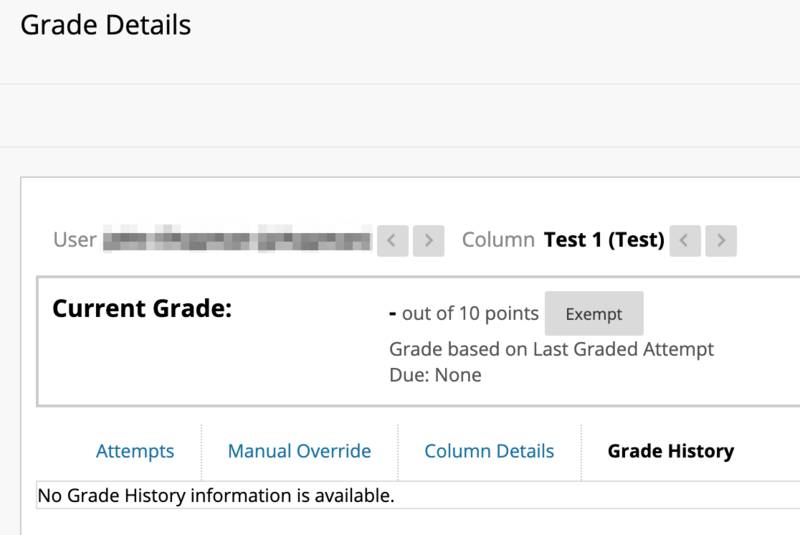 You can see an abbreviated history of the assessment by clicking on the Grade History tab. If you want to see a more detailed report, however, you can click on View Complete History. 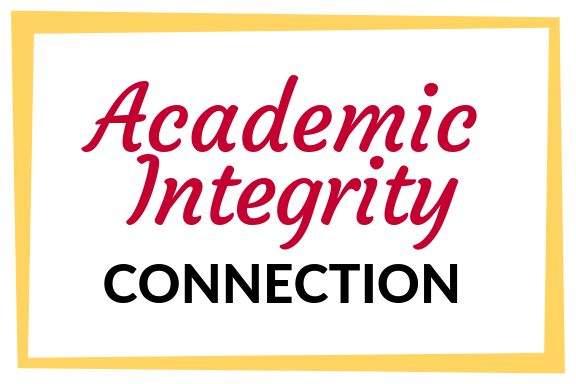 This can be used as a way to see whether or not a student has actually attempted to take the test or complete the assignment. 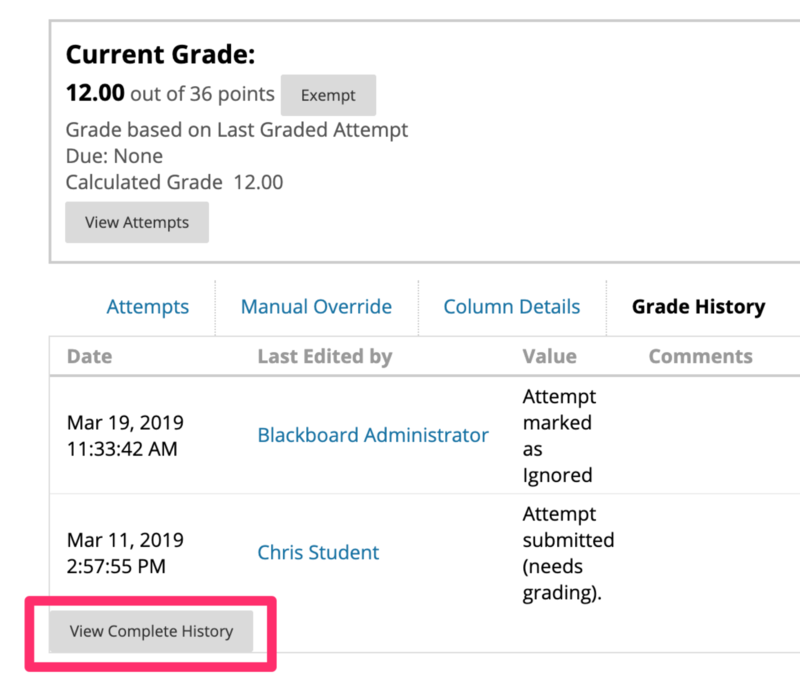 If you see “No Grade History information is available” that means that the student did not attempt the assessment at all.